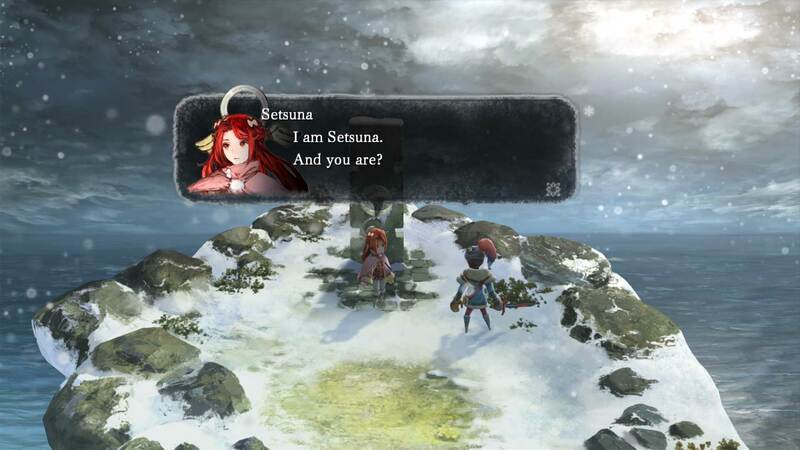 I am Setsuna is a JRPG developed by Tokyo RPG Factory and was picked up for publishing by Square Enix. This title received a lot of attention from RPG fans that have been looking for something more traditional when it was showed off at E3 2015. When I saw footage of the game, it very much reminded me of Chrono Trigger. I was very excited to check this one out when a chance came along to do so. The question is, does this honor the JRPG masterpieces of the past, or just cash in on that nostalgia? 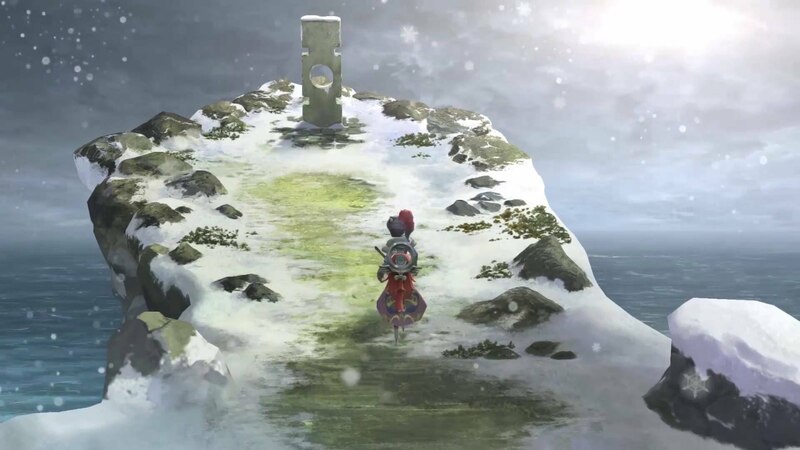 The story of I am Setsuna follows a young girl named Setsuna as she sets out on a quest to cull the evil monsters plaguing the land by becoming a living sacrifice. She soon encounters a man named Endir, who is a mercenary that has been contracted to kill the sacrifice before she can complete her journey. However, his plan quickly falls apart and he is captured by Setsuna’s guardians. Instead of keeping the man imprisoned or killing him, she decides to let him join her party as his skills would be needed on her journey. She convinces him she will die when they reach their destination, so his contract will still be valid. So the party sets out for the Last Lands, but this journey will uncover something bigger than they could ever imagine. I won’t go into any more story details for fear of spoilers, as this is one you need to experience for yourself. The writing here is simply amazing. The world, the characters, and even the items are described and fleshed out in such a way that you just simply feel immersed in this world. The overall theme of sadness comes through loud and clear, and I found myself tearing up more than once at this emotionally powerful tale. This is a fine example of how you tell a story in a video game, so others should take notes. 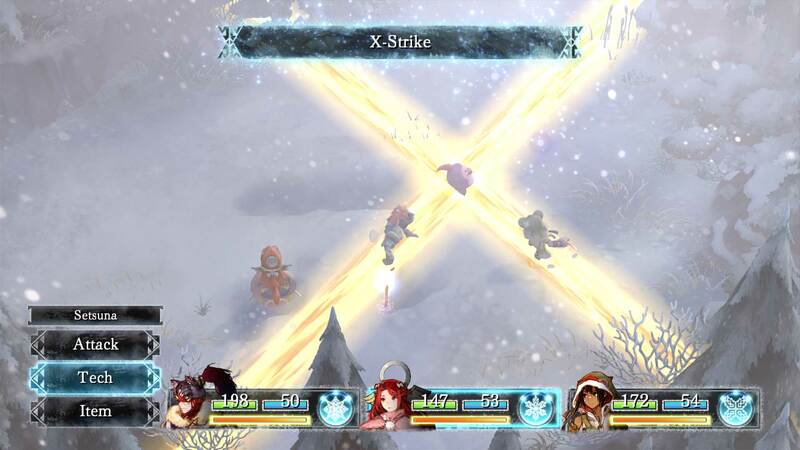 Graphically I am Setsuna will not be winning any awards for pushing the boundaries. However, as we all know there is more to graphics than just being pretty. The world that has been created here is a sad wintry world with little hope. The art style really compliments the writing, making this world come alive. The character designs look great, from Endir’s almost dark knight looking appearance to Setsuna’s maiden like outfit, everything is detailed and a joy for your eyes. While the characters do not obtain new costumes throughout the game, each of the equipped weapons has a different look. Some of these even offer a bit of fan service to fans of classic Square Enix titles. Additionally, the standard enemies look pretty nice as well. This means, you have your standard killer penguins and other snow related enemies that come in different color schemes, but the boss monsters is where the enemy design really shines. These monsters are huge and intimidating and as soon as you see them your blood begins pumping for the upcoming battle. The music fits this world like a glove. Composer Tomoki Miyoshi has created something that we will be talking about for many years to come. The entire soundtrack is done with mostly just a piano, and it really brings home the feeling of this desolate world. Every track in this game is pure gold from the upbeat battle theme, to heart wrenching themes of sadness. You would be hard pressed to find a more fitting OST in any other title out there, this is just simply beautiful. Combat is very similar to what you’ll find in the JRPG classic Chrono Trigger. It uses an active battle system, but this will pause when a menu comes up. Your characters will have a variety of special moves they can use during combat. These are obtained by equipping Spritnite. There are different types of Spritnite, which include command and support types. The command type will give you new spells and weapon skills to use, while support types are triggered or passive effects that will boost stats, grant protection from certain status aliments, or cut down damage from elemental attacks. As your characters attack or as the characters stand waiting to attack they will build momentum. 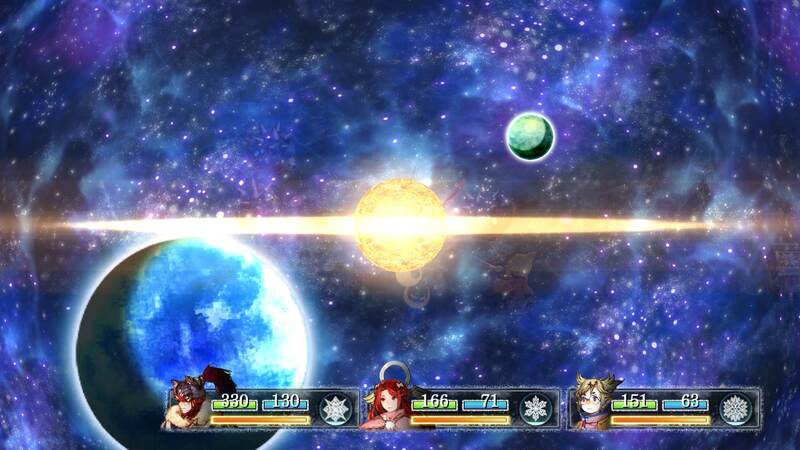 This gauge is located by the characters MP at the bottom of the screen and resembles an orb. When this orb fills you will be given a star. Pressing square while performing an attack will use up one of these stars and grant an additional effect to the skill being performed. These effects include extra damage, party buffs, and healing effects. What I loved most about the combat was, just like in Chrono Trigger, the characters can combine skills to pull off even bigger two and three member attacks. These are not only very effective, but visually impressive as well. Spritnite is obtained by trading in specific dropped items at the Magic Consortium found in each town. Trading in these items is also your main source of cash in the game. You will need this to buy new weapons, talismans, and items. Monster drops are not random however, and depending on what type of skill you use to defeat certain enemies, they will drop different items. For example killing a monster with a fire attack may get you an item need to make the Fire Spritnite, while slaying one with Demi will likely get a drop needed to make something with a time effect. There is an in game journal that keeps track of monster drops, so it’s really easy to see what monsters you may need to see out to get what you need. Weapons and talismans grant the characters slots to equip Spritnite. Talismans sometimes give other combat buffs as well, such as faster building momentum, the ability to see the enemies HP, and more. It is also important to note that all enemies will appear on screen in the dungeons. If you can get a back attack on them, which is really easy to do, you will not only get the first turn but all your characters will start with full momentum. I am Setsua is a masterpiece. It pays homage to the classics that came before it, but it creates something entirely different at the same time. The graphical style, music and the wonderful combat system all work together to create one the best games I’ve played in many years. This title will cost you $39.99 on PSN, and it is worth every penny of it. 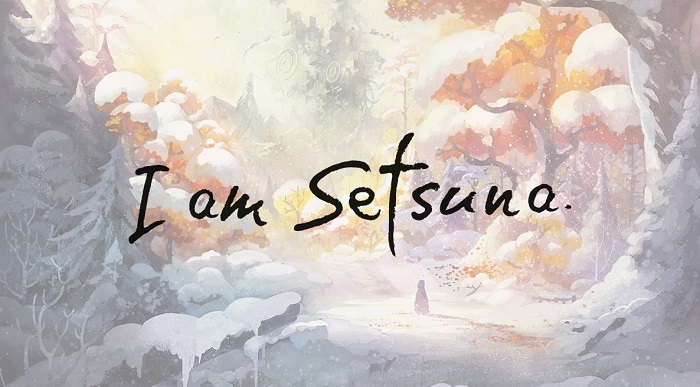 I spent around 25 hours with I am Setsuna, and those hours were some of the most enjoyable I’ve had in a long time. The hype around this one is real folks, this game should not be missed by anyone.